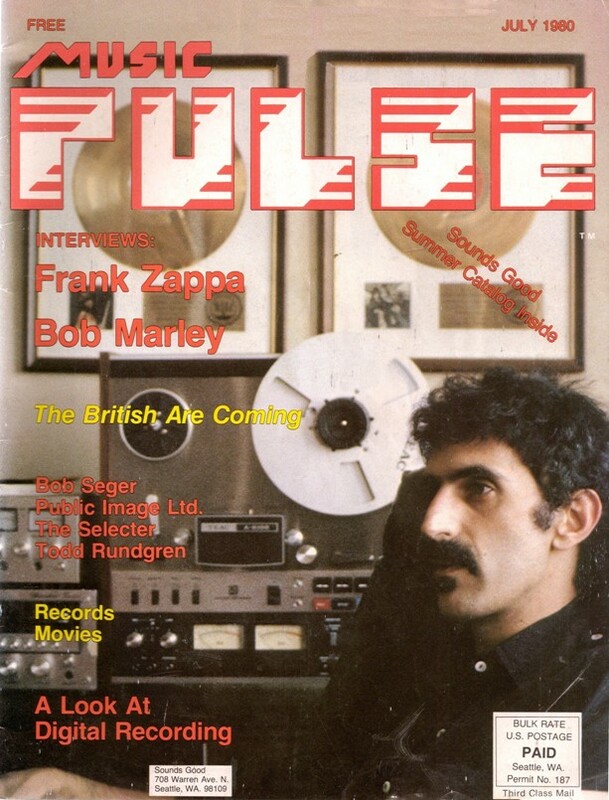 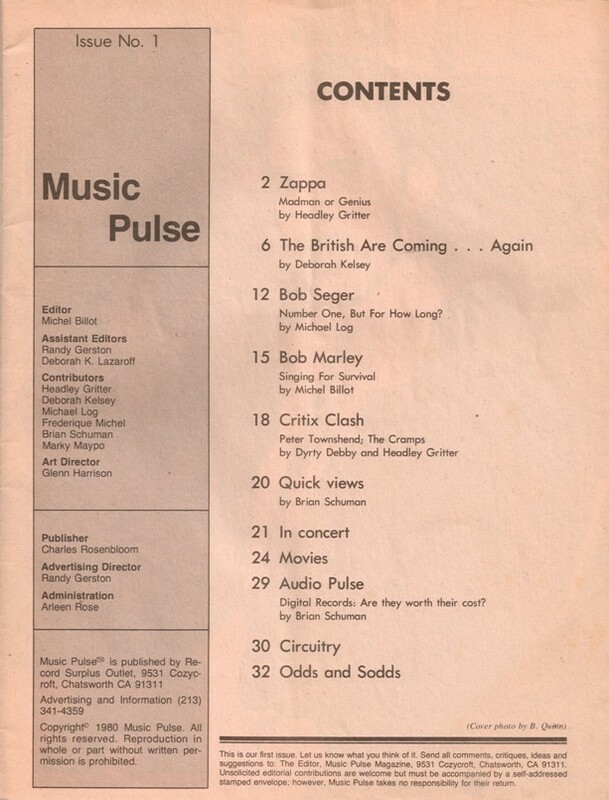 Music Pulse was a short-lived free magazine published by Record Surplus Outlet, Chatsworth, CA. 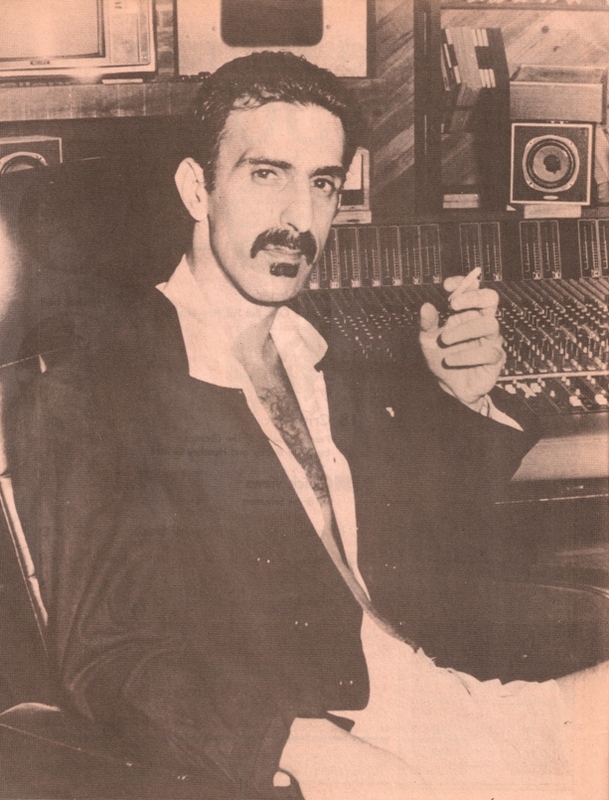 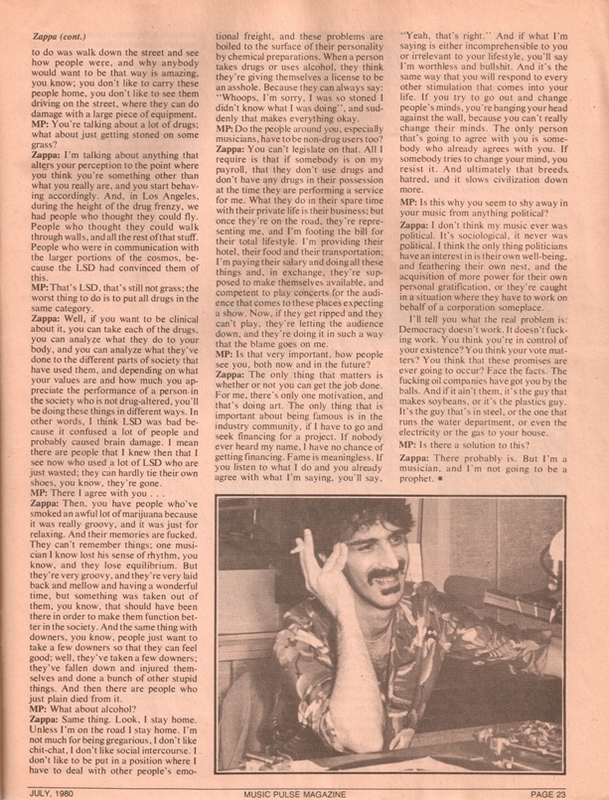 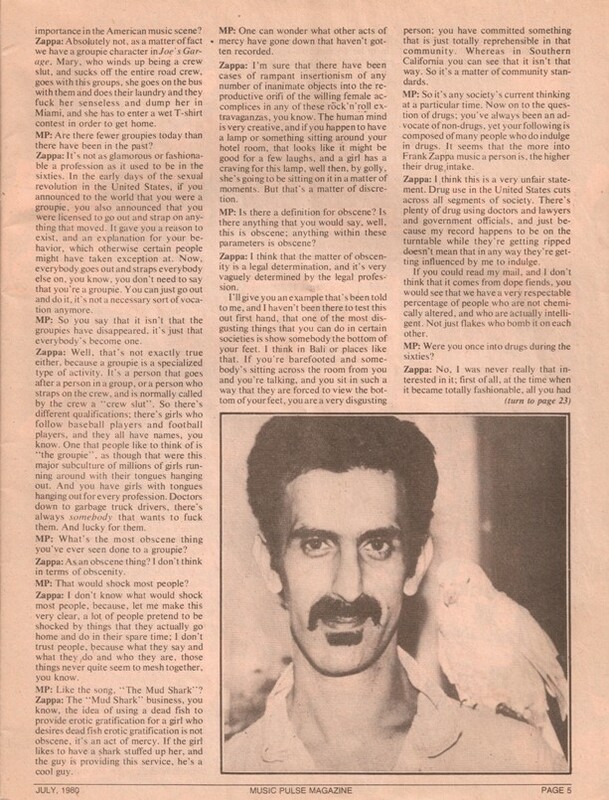 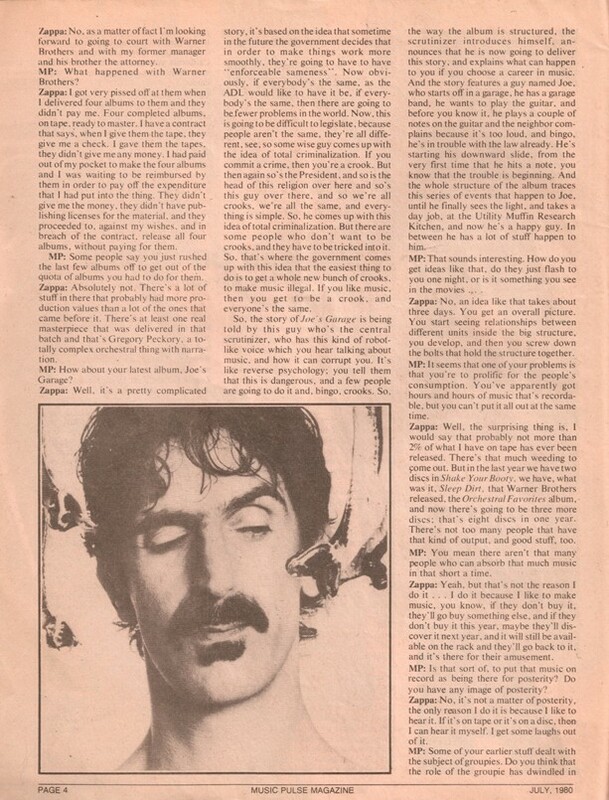 MP: Mr. Frank Zappa, in the past you've thrilled, disgusted, enlightened, and now your visitors are in for a shock: why did you get your hair cut? 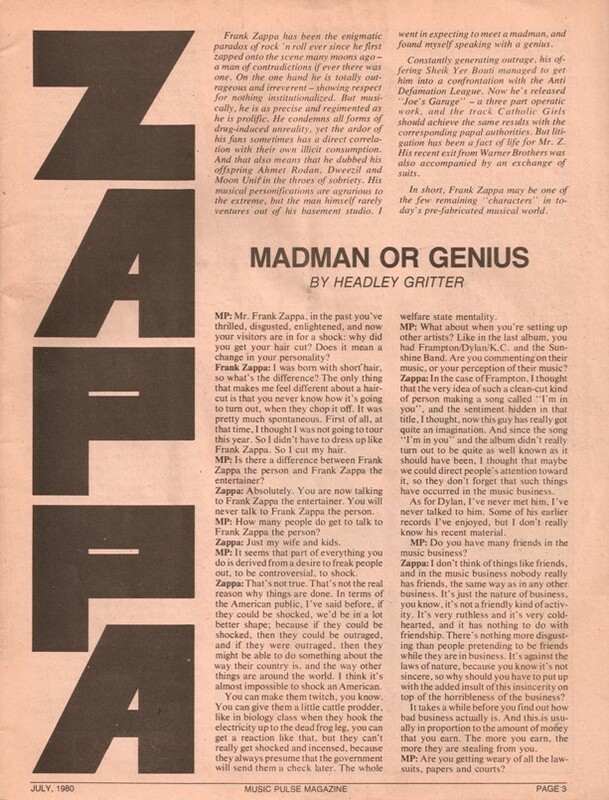 Does it mean a change in your personality?